When a friend or loved one welcomes a new baby, gets a promotion, graduates, or enjoys any other achievement, celebrations are definitely in order! 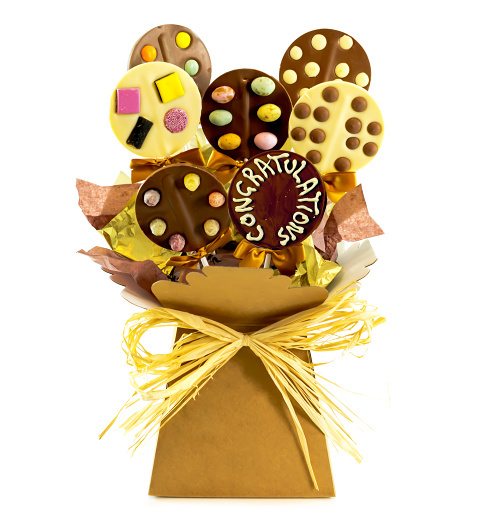 Send this bunch of beautifully crafted and individually decorated lolly pops to celebrate with them! Included in these lollies is one that reads “Congratulations” and don't forget to write something special in the card too!